Book your trip earlier rather than later, especially for plane travel – they limit the number of pets aboard a plane. 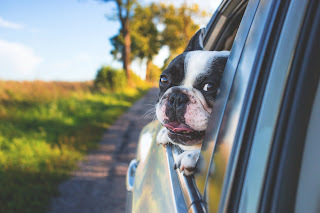 Be sure to give your dog a walk before putting them in a car or on a plane for long periods of time. Bring a familiar bone or toy for them to play with so they can be comfortable. Have a crate on hand to make transportation a bit easier. Bring any necessary health documentations, tags and vaccination records - just in case! Make sure they are acclimated to the crate or space they will be traveling in so that they aren’t afraid.